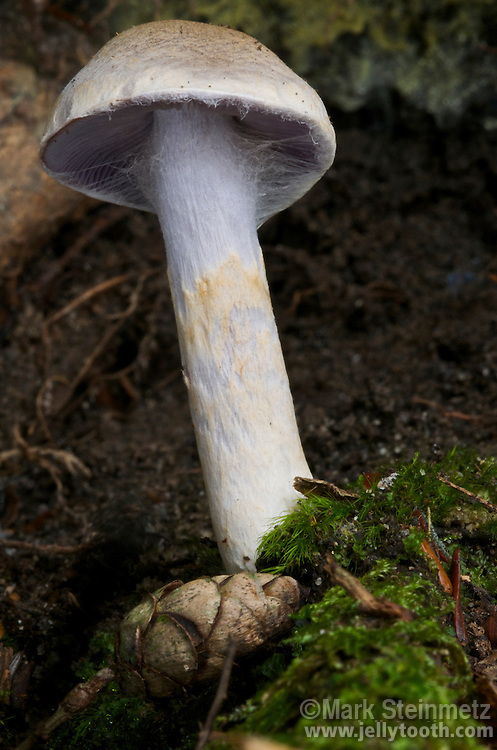 Close-up of a young Cortinarius mushroom, showing the cobwebby cortina on the underside of the cap--for which this genus is distinctive-- breaking away to reveal lilac colored gills. A hemlock cone lies at its base. Clear Creek Metro Park, Hocking County, Ohio, USA.